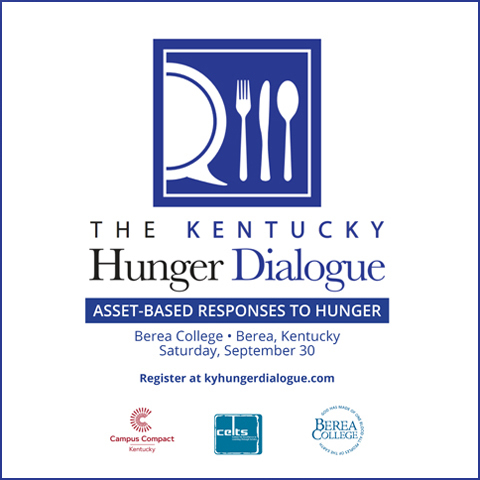 On Saturday, September 30, the Center for Excellence in Learning through Service (CELTS) hosted the 2nd annual Kentucky Hunger Dialogue, which is sponsored by Kentucky Campus Compact. 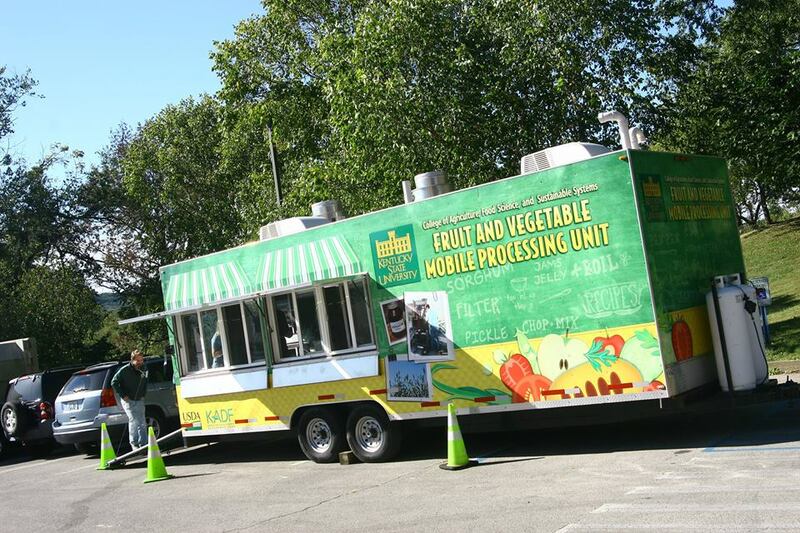 Focused around the theme “Asset-Based Responses to Hunger,” the event highlighted successful programs already at work in Kentucky and presented tools for engagement with hunger on three levels: emergency response, food systems, and policy change. More than 200 participants, including representatives from more than a dozen non-profit and state agencies, as well as students from colleges and universities across the commonwealth, spent the day networking, learning, and building coalitions. The Dialogue was designed to empower college students with civic engagement knowledge and skills they need to address issues, like hunger, that impact our communities. Every participant was encouraged to set personal goals for how they will address hunger in the coming year. 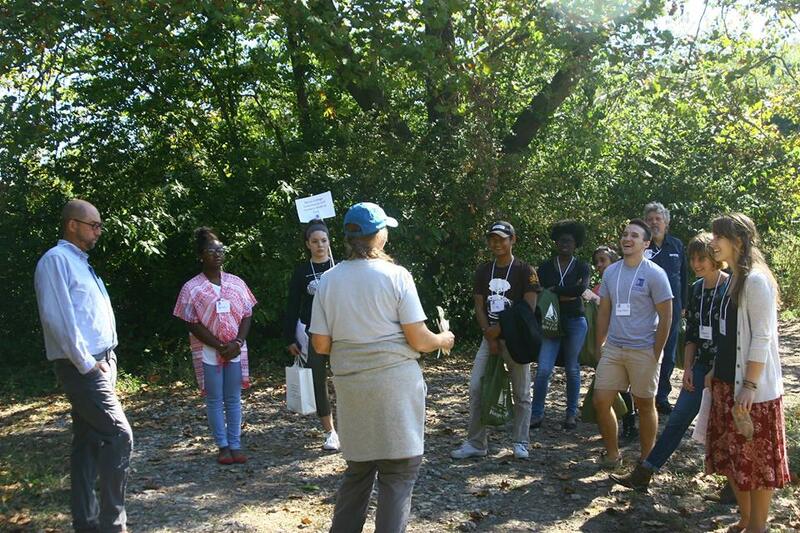 Representatives from colleges and community-based organizations and governmental agencies served as planning committee members, presenters, tour guides, hosts, and moderators. 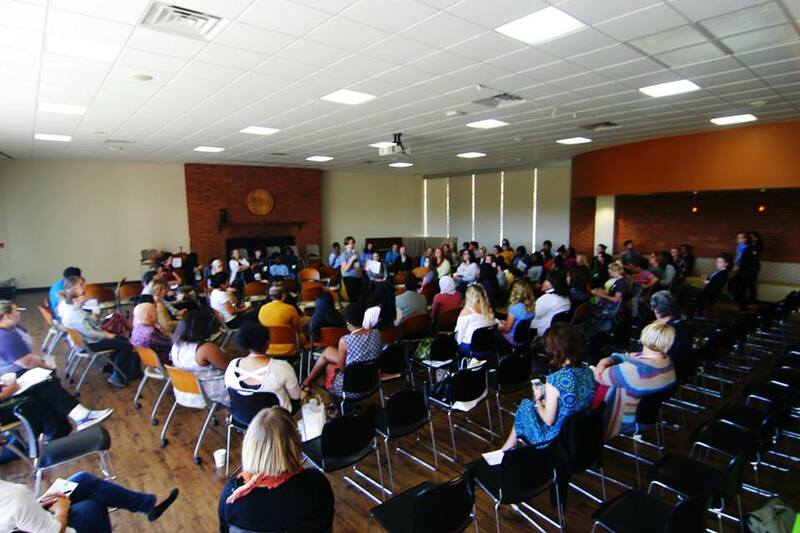 More than 200 people attended the day-long conference. More than 50 people served as planning committee members, presenters, tour guides, hosts, and moderators.